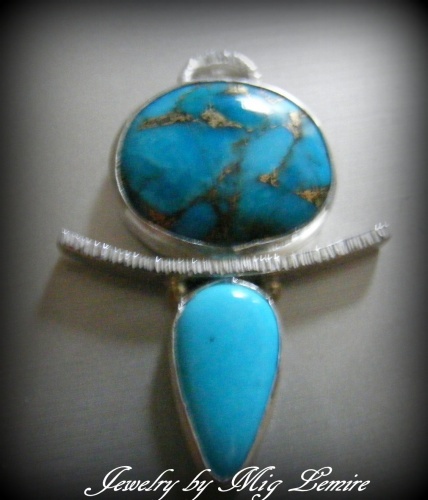 This gorgeous Mohave Turquoise gemstone is so dramatic with the teardrop Robins Egg turquoise gemstone. Colors are amazing and the accent of the hammered silver and two small gold balls make it a very unique pendant. Piece measures 1 3/4" long and comes with a sterling silver chain.